Many are realising the benefits of outsourcing accounting but there are different models. The Do It Yourself version may seem the cheaper alternative and you have the similar “lease the desk” option where you have some assistance finding staff and you are provided with bare essentials for an accountant to sit and do work (computer, internet connection etc.) but what then? Some “lease the desk” providers do offer some training and support but if you get stuck into the details and you realise there are BIG training gaps. So have you crunched the numbers? Have you really thought about the nuts and bolts of running an offshore office? The logistical hassles of hiring and setting up everything ready for D-Day are small fry compared to the ongoing HR, training and procedural issues you will have to face. For outsourcing accounting to work successfully and be a benefit not a burden, you need highly trained staff with expertise in Australian or NZ tax law. Cut corners here and someone along the line has to pay for it. Unpicking mistakes is painful and the expensive way of getting work done. Training staff overseas is no easy business and realistically involves going offshore periodically. 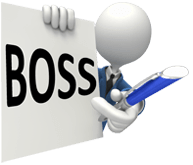 Hiring cheap offshore staff and training them up thoroughly is a big ongoing task. A one month induction won’t cut it – staff need consistent ongoing support and mentoring and a rigorous training system. High quality work comes from high quality training and procedures. We have just signed up another BRW top 100 firm and this one have been running a Manila office for over three years and have now decided that is not cost effective for them. They are smart. They know their business is not training and running a remote office – their business is focusing on value add services for their clients. Are you a BRW top 100 player (or a modern progressive accounting firm) wise of the ATO’s agenda to reduce your compliance billings and therefore keen to push forward with value-add services to your clients before it’s too late? If so, do you want to waste your time on more staffing hassles or would you rather focus you time and effort on your clients and building your business? P.S. For more info on how we run an office have a look at our Training and Supervision and have a peek at our never been seen before Saturday training schedule.